Since it was first published in 1980, the "Dark Phoenix" saga has had a heavy grasp on X-Men fans. Not only does the storyline expand the idea of what’s possible within comic books as a medium, it turns the beloved Jean Grey into a stone cold killer, and it proves Charles Xavier isn’t as magnanimous as readers previously believed. The incredible "Dark Phoenix" storyline was originally adapted in the ‘90s Fox cartoon, then Bryan Singer sort of adapted it in 2006’s X-Men: The Last Stand, but neither work came close to matching the fire of the original. Finally, in 2019, Simon Kinberg is bringing the Dark Phoenix story to life and he's promised it’s going to be faithful to the source material while still packing a few surprises. Dark Phoenix has been in production since 2017, and while a long gestation period isn’t crazy for an effects-heavy movie, the wait time has lead to speculation about what's going on with the X-Men. Even after a trailer and film stills came out it’s unclear exactly what happens in the movie, what powers Jean has, and who’s pulling her strings. On June 7, 2019, Dark Phoenix will hit theaters with a blast of cosmic energy and betrayal. 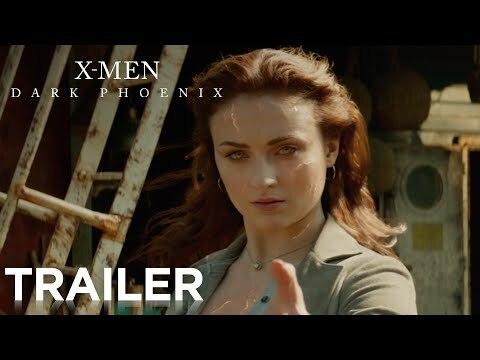 The latest trailer, debuting on April 17, 2019, reveals Jean Grey's descent into darkness given the troubling circumstances of her immense power and the doubts placed on her by her own trusted team. The biggest lesson learned from X-Men: The Last Stand or X3 was that if you are going to tell a Phoenix story, tell the Phoenix story. Don't make it the subplot of the movie. Make it the plot of the movie... So the lesson we really learned was to tell the "Dark Phoenix" story the way that it was originally told. And it's been told in other iterations, whether it be other versions of the comics or versions in the cartoons, she was always the center of it. It was always about her emotional, psychological breakdown and all of the things that then broke. One character fans know little about is the villain played by Jessica Chastain. Writer-director Simon Kinberg has gone out of his way to stay mum about who she's playing, although he's said she's inspired by Mastermind, a villain who tries to manipulate Jean Grey to prove they're worthy to join the Hellfire Club. Kinberg said, "She is from, let’s say, not our planet, her character. I’ll keep it relatively mysterious but it is a cosmic story in a way that is extraterrestrial, which is something we’ve never done in the X-Men movies before but is obviously something that is integral to the Dark Phoenix story so I felt we couldn’t’ do what we did on X3 and ignore that." The director went on to say Chastain's character doesn't have anything to do with Grey gaining the Dark Phoenix power, but she is interested in what Grey can do when she returns from space. "I don’t want to spill too much about it but basically Jessica’s character is very interested in this power that I’ve kind of acquired and this cosmic force that I have and she kind of wants that force to use it for her own - she has her own intentions with it and she kind of wants to use that. And she nurtures me in a way to make me kind of trust her." Dark Phoenix is a summer 2019 film, but fans are already speculating about a major death within the story - Jennifer Lawrence's Mystique. Throughout the reboot films Mystique has been one of the most important characters. She challenges every one of Xavier's decisions, and she seems to be one of the few members of his team who understands how humanity sees mutants. It's likely Mystique's going to be killed in order to put her character to bed, or to give her an out to join Magneto on Genosha. So what's the proof? There's a funeral scene in the trailer and she's not visibly present. There are a few other characters who don't show up in the scene - Scott specifically - but their deaths wouldn't make as much narrative sense. Later in the trailer, both Beast and Magneto are in full-on angry mutant mode, which points to the possibility that Jean kills Mystique during a battle. None of this is conclusive evidence by any means, but it makes sense for at least one character to die in the upcoming film.